Meetings are a necessity for every business and yet, they have a bad reputation of wasting time and hindering productivity. We have some suggestions for alternative ways to hold more creative and effective meetings. There are many tips on how to make meetings more productive, such as having a clear agenda and purpose and also staying on schedule. However, even with all these techniques, most people feel that meetings are a waste of time. Time that they could spend doing more important tasks. Sometimes you can just see it in the attendee’s vacant eyes that they’d rather be anywhere else than in that meeting. So you need to take more creative measures to turn meetings into something to look forward to rather than something people dread. If we’re honest, most people are quite listless on Friday after lunch and their minds are already on their weekend plans. Holding informal meetings on Friday afternoon or after hours can be a way to get people to relax while still being productive. Over a few drinks and snacks, people will be more comfortable and more confident to share their ideas. Despite the informality, it is important to stick to these meetings and have them regularly. Draft and stick to an agenda to keep it focused. Otherwise, these meetings might end up as social gatherings where nothing productive is happening. So, have a focused objective and afterwards everyone is free to socialize and hang out with their coworkers. Standing meetings are more and more common nowadays. They should ideally last no longer than 10-15 minutes. At the start of the working day, a standing meeting can be great to quickly go through the daily to-do list, give employees the 411 on what is new and say a few encouraging words. The idea behind standing meetings is that because people are standing, their feet will get tired and they will try harder to get to the point or reach a decision.. This makes meetings fast and effective. Sitting too much is bad for your back and overall health. This is why you should seize any opportunity to stand up and move around. How many times have you complained that outside the sun is shining, but you’re trapped in your office? If the answer is “often” then give walking meetings a chance, especially now that the weather’s getting warmer. 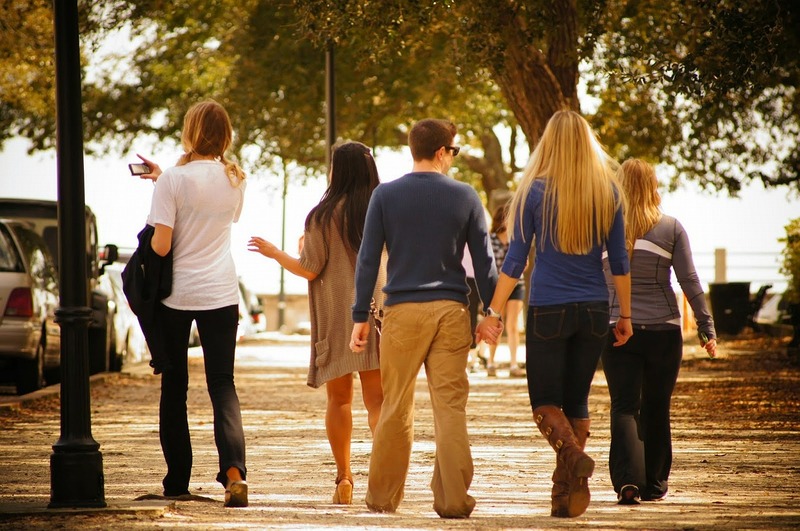 Having team meetings while walking can loosen people up and make them feel more comfortable to talk. You can take a walk around the block or go to the nearest park. While walking, you’ll get fresh air and by observing your surroundings, you may come up with some new and innovative ideas. It comes as no surprise that a lot of business deals are made during a game of golf. But companies have also discovered that exercising in general can boost productivity. You can hold meetings on exercise bikes or if you want to get some fresh air, you can try conference bikes. Yes, they exist. And yes, people really do hold meetings on them. If you’re not a biking fan, you can try jogging, yoga or inline skating. Or why not hold a literal scrum meeting by playing a round of rugby? The opportunities are endless. Exercise meetings have the advantage that you can bond with customers and your team members. You also get in a few hours of exercise into your very busy daily schedule. Field trips are a great way to build up team spirit and it’s also a good way to get out of the monotonous office routine. You can take a hiking trip to a National Park for example. Or if you really want to treat your team, why not organize a trip to Disney World? There is probably no other place in the world that can spark your team’s creativity as much as the home of Mickey Mouse and company. Walt Disney is THE icon of creativity, after all. A more down-to-earth alternative is a simple picnic in the park. These alternative ways of holding meetings are great for brainstorming or creative sessions. But don’t write off the traditional meeting completely. Also keep in mind that these creative meeting types are not suitable for every task and team. Nonetheless, depending on what you want to achieve, your budget and how open your team is to trying out something new, a change of scenery can greatly improve the process and output of meetings. Think Outside the Box: Creative Ways to Hold Meetings - InLoox • Copyright 1999-2019 © InLoox, Inc. All rights reserved.